Manchester United have been strongly linked with the Jordi Alba transfer in recent reports emerging from the Catalan press. Sport claim the Spain international is stalling on signing a new contract at the Nou Camp, leading to speculation he could quit the club, with United mentioned as one of the main clubs interested in him. CaughtOffside understands the Red Devils have in fact already held talks with Alba and agreed personal terms over a move to Old Trafford. However, no deal is yet done with Barcelona, who likely hold the cards in this negotiation as Alba is a key player with a release clause of £135million. United are one of the wealthiest clubs in the world and are well known for making pricey purchases for big names, though one imagines they wouldn’t fork out quite that much for a new left-back. Luke Shaw has impressed this season, so a new addition is not exactly an urgent priority, though there are doubts over Ashley Young’s situation. United were recently linked with Alex Sandro for as much as £70m, and CaughtOffside understands they could be prepared to go close to that for Alba. The 29-year-old is hugely experienced and seems an ideal Jose Mourinho-style player with his tremendous work rate and energy at both ends of the pitch. Few would argue he could be an upgrade on Shaw for the moment, even if he’d possibly be overpriced considering his age. 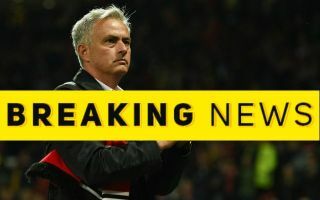 Still, things seem to be moving along as Mourinho urges Ed Woodward to step it up in the transfer market as the pair are scheduled to hold crunch talks during the international break.